Canada is right above the US. They share a two borders. Approximately 300,000 people cross between these countries every day. 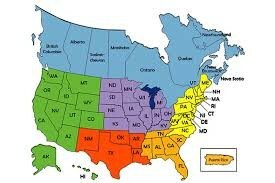 United States and Canada trade is far more than USA and Canada. United States of America and Canada's armed forces work together. 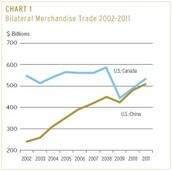 Receiving more than $2 billion a day, trade is an important part of the United States and Canada. They are the best trading partners of the world. 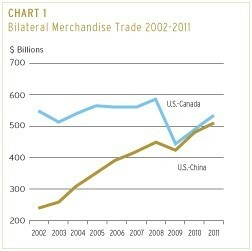 Trade has nearly doubled since about 1995. Trade between these two also helps supply many people with jobs. Trading is well, due to the bilateral border between the two. Canada is just north of the United States. USA and Canada are known as partners, allies, and friends. People in both places are connected through trade. Many frequently migrate from USA to Canada or Canada to USA.It is very easy for people to migrate between the two locations cause of the close location and bilateral border. Being the most extensive defense arrangements, Canada and U.S. Armed forces work together. 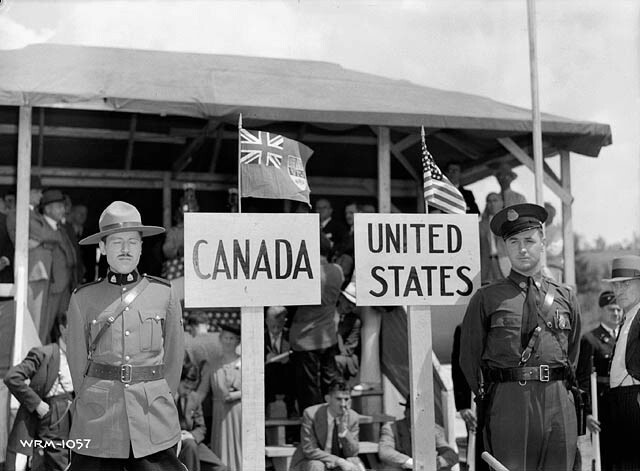 USA and Canada are both a part of some of the same international organizations. Both work together to create a relationship outside of our borders.